Scroll Hats: Tap and drag the screen. Jump: Release while hat is selected. Avoid: Avoid Birds at all cost by jumping through it. Fortunately you can do it manually! 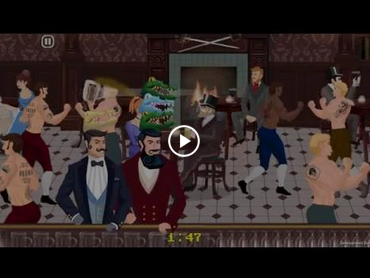 To do it manually, increase your score in Max Gentlemen that is greater than zero. Press pause and use search function in your hex editor app, enter your current score value in Max Gentlemen and search for it (choose DWORD). If you see a long list of results, just repeat the process until you get 1 result only.